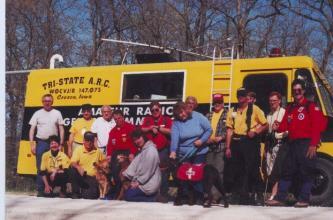 The handbook for ARRL affiliated clubs. The club kit contains the application forms to affiliate your club with ARRL. A club constitution is a very important document and should not be taken lightly as it provides the foundation for the governing of the club. This sample constitution is a good illustration and may be used as a starting point when drafting your club's constitution. Please feel free to modify this example to meet the requirements of your club. Successful radio clubs are a joy to experience. Easy to spot, they are usually populated by enthusiastic, gung-ho members who are involved with a full agenda of interesting things. 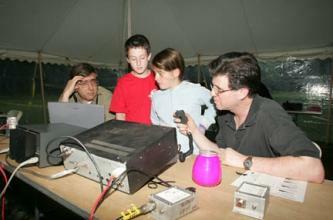 They are generally at the center of most Amateur Radio activities in town. Congratulations! You have just been appointed to a leadership position of your Amateur Radio club. You may be on the board of directors or an officer of the club or you may be chairperson of an event like a hamfest or Field Day. Other positions of leadership may include heading up a team of Volunteer Examiners or organizing a new licensing class. Whatever the responsibility, the fact remains that the members of your organization are now looking to YOU to lead them to accomplish a set of goals. Here are some points to consider when forming a new club. This article may help you decide if incorporating is the right thing for your club. Written by Rose-Anne Lawrence, KB1DMW, when she was the ARRL Club Assistant, this informative article was originally published as a feature on the ARRL web site. Rose-Anne and ARRL Historian Perry Williams, W1UED, offer some helpful tips for passing along to future generations important information about your club. 5. The Executive Vice President shall be responsible for the general supervision of the affiliated societies and their welfare, and for the relations existing with them; the Executive Vice President shall keep the records and conduct the correspondence with them. Elmering is the backbone of Amateur Radio.